Hi everyone I'm Jack Red, Mortal Kombat is hands down one of my absolute favorite video game franchises. There really isn't a lot of fighting games like Mortal Kombat. 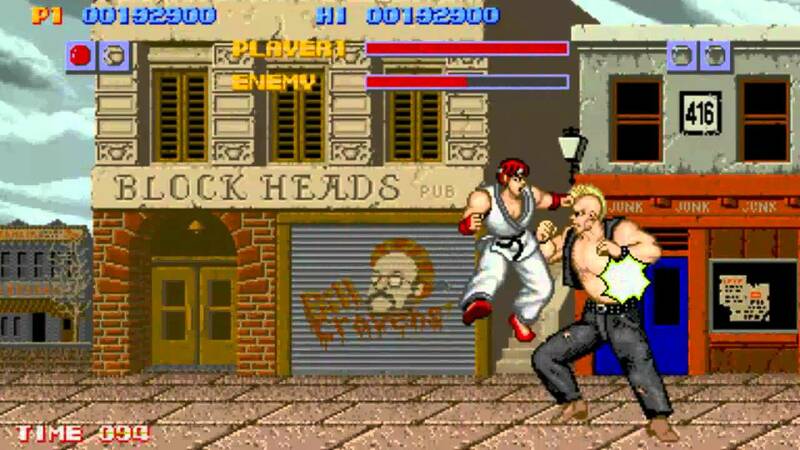 Like Street Fighter there was many bad fighting games inspired by it's success. Only one of them is truly worth mentioning Killer Instinct. Mortal Kombat got two live action movies, a prequel animated movie, a cartoon and a few shows. Right now Mortal Kombat is one of the best selling fighting game franchises in the world. This blog should give you an idea why that is. Mortal Kombat is something truly unique in & of itself for many reasons. Today I want to give you just five reasons why I always prefer Mortal Kombat over Street Fighter. Now I am not crazy about Street Fighter but I never really dislike it either. I will be honest to say yes there are some Street Fighter games I like. I have played all the main Mortal Kombat games through out the years. I really didn't want to start with such a low blow no pun intended. Let's be honest most SF fans still haven't go to play Street Fighter 1. At the same time, most reviews on it are terrible. This game was a early fighting game yet some earlier ones like Konami's Yie Ar Kung-Fu holds up better. Most people that has played it agrees attempting to do any special moves is a real chore. You can also play as Ryu or Ken as player 1 or player 2 respectively. In Turbografx-16 port called Fighting Street you can plug your controller in port 1 or port 2 since the game doesn't have a character selection. I know there isn't many playable characters but I seen many fighting games with slightly more characters present on a real character selection screen. One interesting fact that Capcom put it all on the line for Street Fighter II. They were surprised it did way better than they were expecting. In fact just among the top 10 arcade machines of all time. There isn't many official ports in the United States. Would you believe me after telling you it is a crime to play this illegally in any shape or form? Sadly it is true you can face a big fund for being caught playing SF1 that isn't the actual arcade machine or any official ports. Another major problem is how terrible all the voice overs are. I mean come on Pac-Man sounds better coming several years before this. Officially among the worst SF games in the entire franchise. It is so bad that everyone that has at least seen SF1 in action agrees Mortal Kombat 1 is way better. Much better voice overs with great sound effects. You get seven playable characters with each character having an ending. The moves are much simpler to pull off in comparison. Let's be honest just about everything in MK1 blows SF1 away. Yes Street Fighter characters has appeared in so many crossover fighting games. Yet no one guest character has appeared in any of their games. More recently guest characters you really wouldn't expect appears in fighting games. None of the original Mortal Kombat games has done that either. Eventually with the reboot all of that changed. Kratos from God of War series appears in all PlayStation versions of Mortal Kombat reboot aka MK9. Freddy Krueger appears in two Mortal Kombat games. Jason from Friday the 13th series before he got his new game. Leatherface from The Texas Chainsaw Massacre series makes an appearance since his original Atari game. 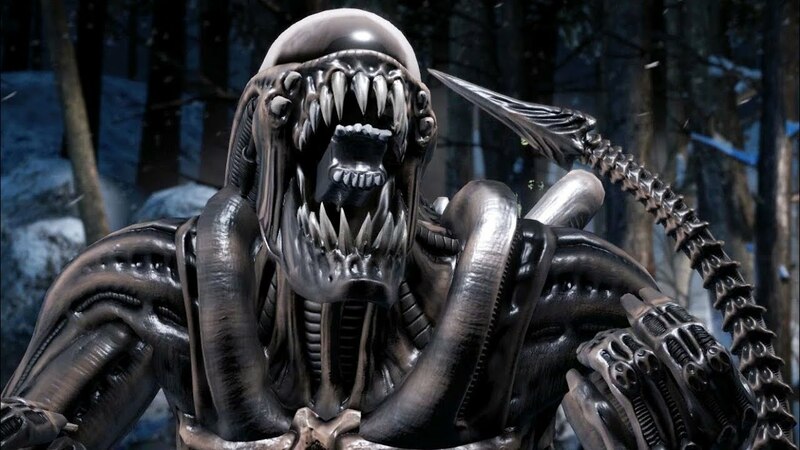 Alien & Predator also appears in Mortal Kombat X together. I said it once & I'll say it again the announcement of Alien being in this game blew my mind. Alien is a very popular character for crossovers. Each guest characters brings brutally possibly among the sickest kills in the franchise history. 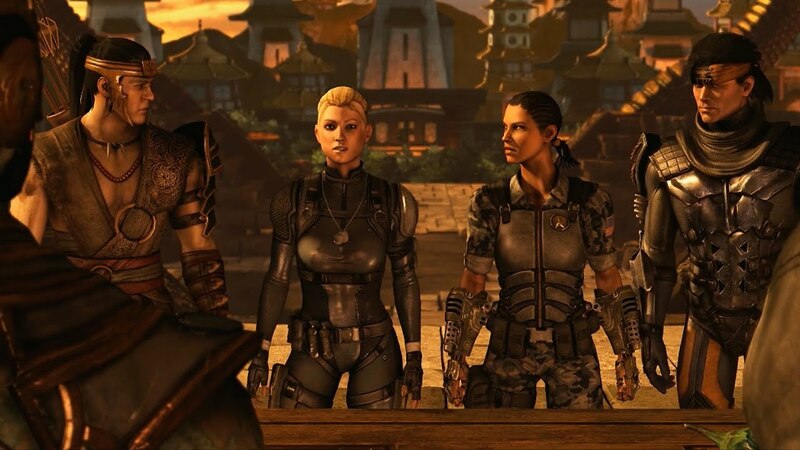 I also like how their endings help brings them more into the Mortal Kombat universe. Robert Englund reprises Freddy one last time in the reboot before voicing The Scarecrow in Injustice 2. Clearly people are requesting more horror movie killers to join future MK games. I could name a select few that would be perfect for Mortal Kombat series. Street Fighter does have altered clones, robots, experiments and mostly humans. Mortal Kombat has species from other realms aka other universes. You have a few races from Outworld like Shokans & Tarkatans. You also get some races from Netherrealm aka Hell like Scorpion, Quan Chi and Noob Saibot. Each realm has such a difference in how they fight. Havik already being insane from Chaos Realm with some weird moves. Hotaru from Order Realm fights like he is trying to protect. I should mention some gods themselves takes part in these games. From humans all the way up to gods we have such a clear line. Trust me some of these moves you may never seen in a Street Fighter game. Let's be honest it does get boring playing with just humans after a while. I rather having a good variety of species at my finger tips instead. One of the most famous creatures in the franchise is Reptile. The original hidden character in fighting game that you couldn't play as. In many appearances, Reptile looks like a human ninja. However before his mask I mean face is his true face. His species are on the verge of extinction thanks to the Outworld Emperor Shao Kahn. In some realms, using magic is considered a form of survival. Shao Kahn had over ten thousands years worth of experience. Originally this started with a tournament called Mortal Kombat where Outworld was winning 9-0. If Earthrealm loses, Shao Kahn is allowed to claim their realm for whatever purpose he wants. Unfortunately Liu Kang of Earthrealm defeats Shang Tsung to win Mortal Kombat tournament. Shortly Shang Tsung was able to talk the emperor into doing a follow up all or nothing tournament. Which means if Outworld wins this time, they can claim their realm ignoring the previous agreement with the Elder Gods. This tournament took place in Outworld since the previous tournament took place in Earthrealm. Once again Liu Kang defeats Shao Kahn to win the tournament for Earthrealm. Greatly angering the emperor, he chose to do something the Elder Gods doesn't like. 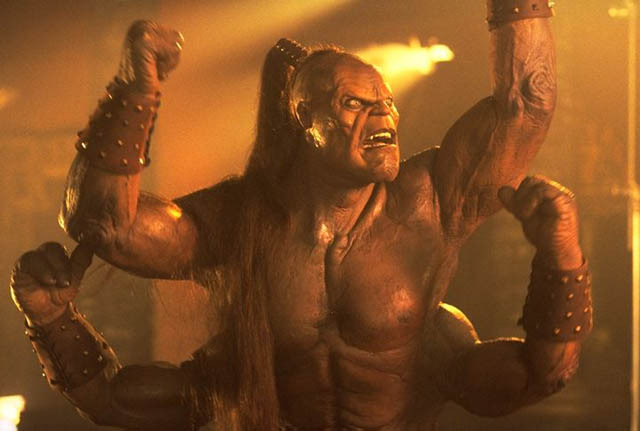 Shao Kahn made a few arrangements within Earthrealm to cheat the rules to forcefully allowing him into their realm. This includes reviving his queen in their realm, stealing most souls & force merging two realms together. Which also causes Raiden the God of Thunder to start losing his powers. Eventually Liu Kang defeats Shao Kahn again stopping his plans. I would cover MK4 to up but the new time line greatly alters where MK4 took place originally. There were many clever changes making it fresh to watch the cut scenes but also playing the fights. Also the entire point of the new time line is not having Shao Kahn winning in the most important battle of all. Right now we have a few possible ideas how this new time line could end. I believe we will continue to get some amazing stories keeping us on the edge of our sits. In the new time line we get a big amount of time passed between the reboot & MKX. Most of the original events took place very close by each other. This really was a no brainer people. Fatalities are continuing to get more disturbing, violent & disgusting. In fact a good number of them I'm amaze stayed within their games. I don't like constantly getting stunned by opponents in games like Street Fighter series. I prefer having the dizziness after the match is over. There is a good variety of fatalities in the franchise. Animalities allows characters to transform into animals or insects to kill people. Brutalities were originally a long intense beating that causes your opponents to explode. Now brutalities are quicker fatalities that can occur even before the match ends. Hara-Kiri is committing suicide variation of fatalities. Faction Kill is guild related finishers that kills your opponents. Stage fatality aka death traps involves environmental finishers. A good number of them involves uppercutting your opponent up high. 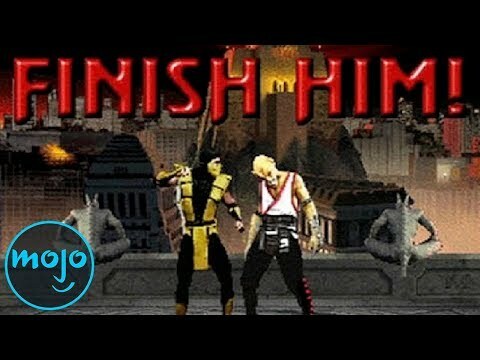 Sometimes doing a fatality better fits your frustration towards someone than just winning at many of it's competitors. Heroic Brutalities don't involve killing DC comics didn't want their super heroes to kill people. They give you a quick beat down with little to no blood. Friendships also doesn't involve killing your opponents. Instead they are more little jokes since many parents complain about MK1's fatalities. A very large number of fatalities are simply unpredictable in their own way. I should mention Fergality a Genesis exclusive finisher with Raiden. You have to do the code making sure you are fighting on the armory level. If you or your opponent quits at any time during an online match. Watch those heads explode in such weird ways. This also doesn't no longer count the match for either player. Multalities is a fatality that kills many enemies at once. Sadly it was only present in one spin off game. The level of creativity for fatalities in general rivals that of The Simpsons. Fatalities is easily one of the most popular finishers in any fighting game. Not even the finest finishers in Street Fighter franchise can compete with those.